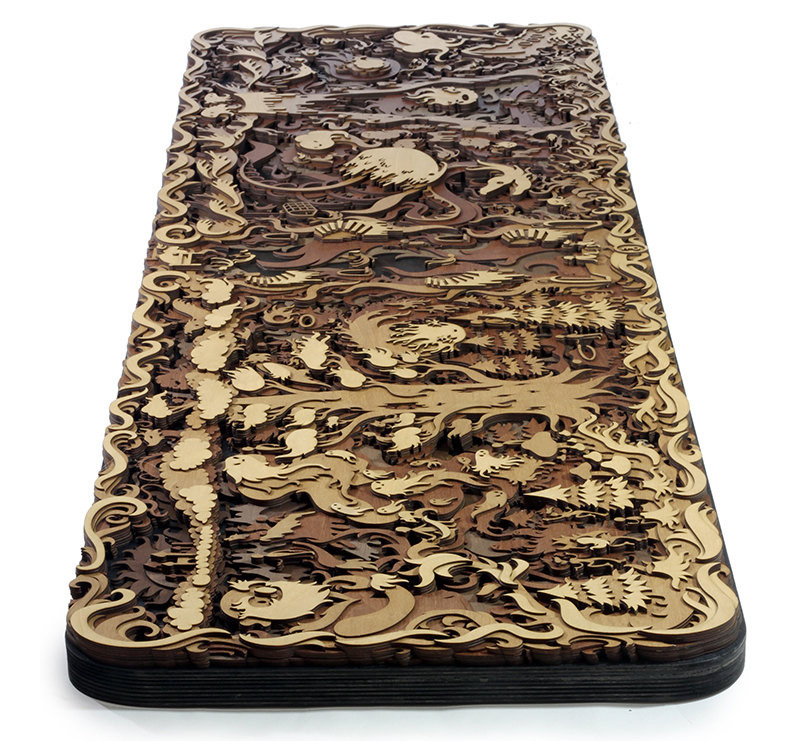 This is just one example of the stunningly intricate and beautiful multi-layered laser-cut wood artworks by Martin Tomsky featured over at Colossal. If you look carefully at the image you can see the layers of overlaid wood pieces. I highly recommend you go to the site and see the rest of his work. Fantastic. This entry was posted in art, new! and tagged art, collosal, wood. Bookmark the permalink.